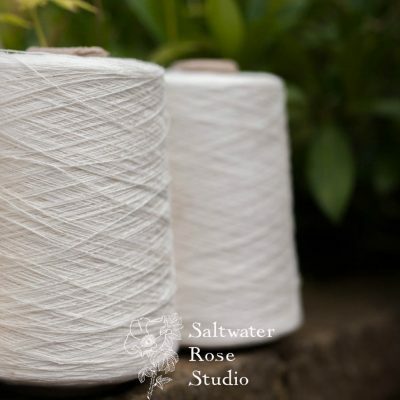 This beautiful ring spun fine yarn is a patented blend of lyocell and seaweed extract, which come together to produce an exceptional yarn. 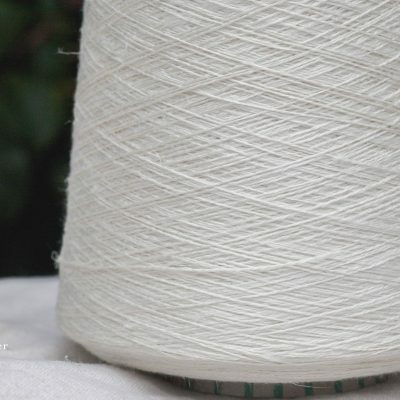 Lyocell, a regenerated cellulose fibre, is plant-based and biodegradable. 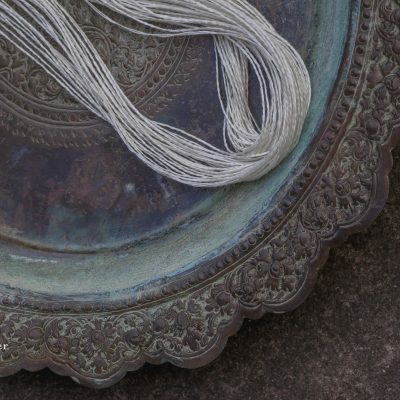 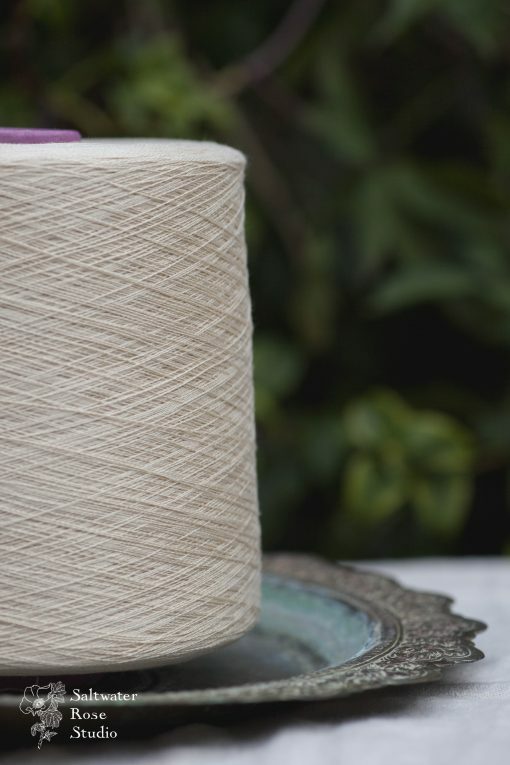 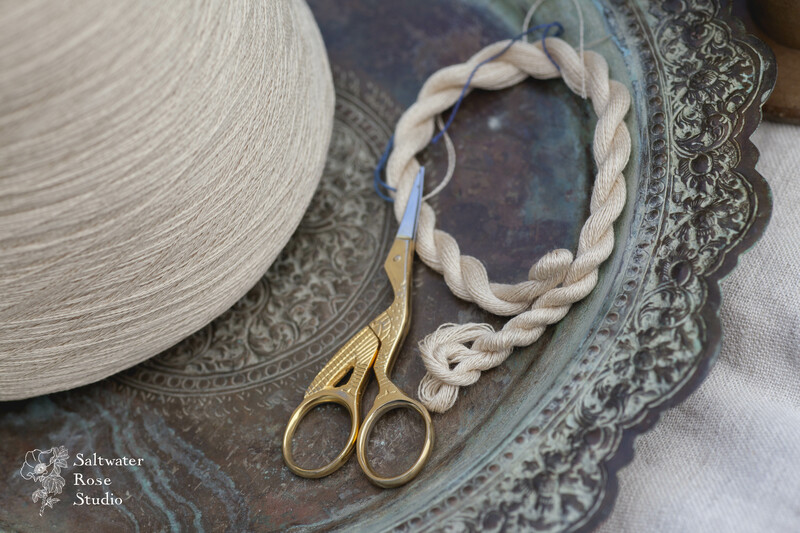 The yarn properties are unlike plain lyocell or seaweed viscose – SeaCell is light, airy, durable and strong, and produces lovely, mouldable wraps, scarves, shawls, and all other textiles. 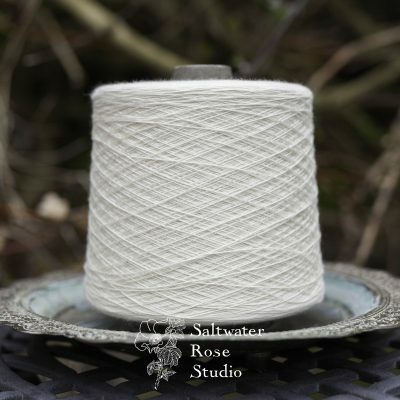 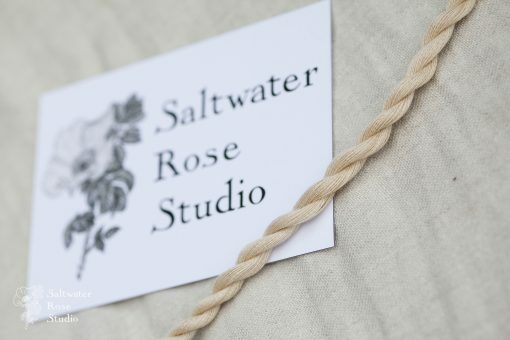 This is a beautiful, well-twisted yarn suitable for warp or weft and comes in 500g cones. The natural cream colour adds subtle depth to finished dyed colours, or you can weave it natural.